George Alley first joined Thermal Belt Outreach Ministry as a donor, then as a volunteer, and now as the organization’s third Executive Director in its’ 25 year history. George holds a Bachelors degree in Business Administration from the University of New Hampshire, a Masters of Public Affairs degree from Western Carolina University, and a Certificate of Nonprofit Management from Duke University. Prior to employment at Outreach, he served at the Carolina Classical School, The American Red Cross, and the Town of Tryon. George lives in Columbus with his wife Erin, a physical therapist at PRO Physical Therapy, and two daughters, Rhian and Reese, who attend Polk County High School. George enjoys soccer, outdoor activities, music, theater, and travel. 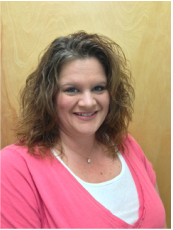 Michelle Reedy is Outreach's Client Services Manager. 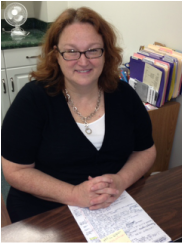 She oversees our client intake, food pantry and the development of our community garden. Michelle has worked with Outreach for over five years. Prior to her time with Outreach, she worked with the Polk County Department of Social Services. Michelle has a broad background in social work and strong administrative and managerial skills. Wendy Thomas joined Outreach in 2011 and handles the organization's communication and development needs. Wendy brings over 10 years' experience in communication management to Outreach. Prior to joining Outreach, Wendy worked as the Manager of Investment Communication for Mellon Equity Associates, a wholly-owned subsidiary of Mellon Financial Corporation. Wendy graduated with a Bachelor of Arts from the University of Maryland's School of Arts and Humanities and earned a certificate in nonprofit management from Duke University.